The day, which was a collective response from Catholic religious orders across the country, emerged to acknowledge survivors of abuse within the Catholic Church and all those who have been hurt by that abuse. Underpinning this, is a clear promise for a better, safer future. “Action is happening. The process is already under way to reform the Church’s practices to ensure that safeguarding is integral in all that we do as part of our ministry and outreach in the community. This at the heart of our mission,” said Sr Monica Cavanagh rsj, President of Catholic Religious Australia. 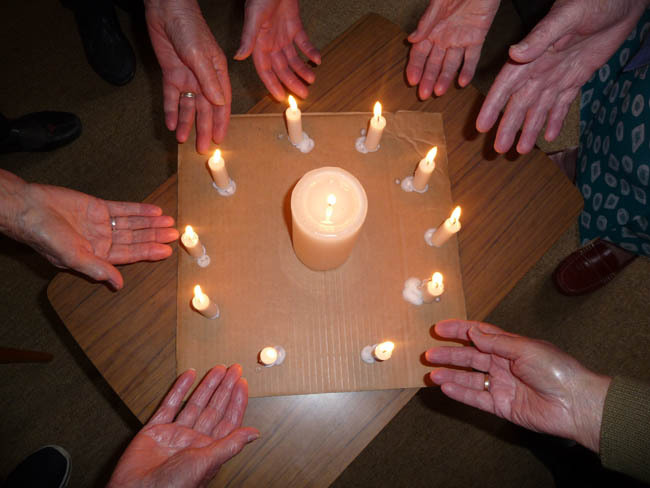 Among those marking the day were the members of the Sisters of Mercy Parramatta, their staff and partners in ministry, who gathered at their Congregation Centre to participate in the National Day of Sorrow and Promise. The liturgy, which included the testimony of survivors and their family members, acknowledged the tragedy of Institutional child sexual abuse, its devastating and life-long effects on survivors and their family and friends, and was underpinned by a promise to ensure such crimes can never happen again, and that the safety of all children and vulnerable adults under the care of the Catholic Church, Catholic Religious Congregations and out ministries, is ensured. In Melbourne, the Carmelites held a special liturgy for the National Day of Sorrow and Promise in the Whitefriars College Chapel, Donvale. Fr Paul Cahill, Prior Provincial of the Carmelites in Australia & Timor-Leste was the celebrant. Other local communities of Carmelites also commemorated the day. 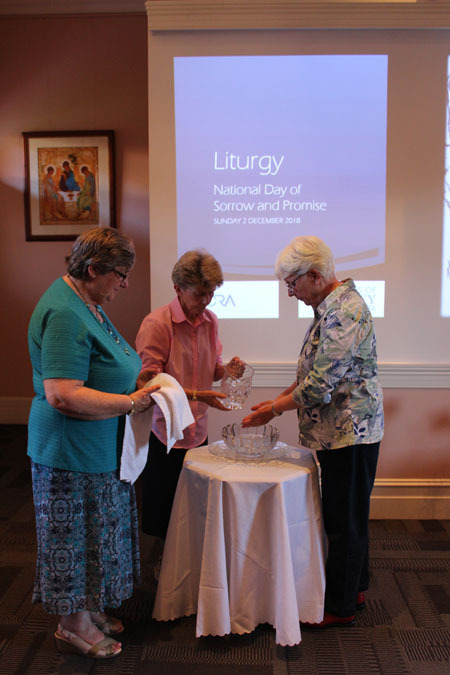 The Blessed Sacrament Sisters also took part in a liturgy (above) for the National Day of Sorrow and Promise. “In addition to apologising again for the tragedy of abuse, the purpose of the day was also to acknowledge those who work in the interests of persons harmed by abuse and those who work for the safety of the vulnerable,” an article on the Carmelites website says. “The Carmelites in Australia & Timor-Leste recently launched their Safeguarding Policies and Procedures at their recent Provincial Assembly. These are documents are being studied and reviewed in the local Carmelite Communities, prior to their formal adoption at the Provincial Chapter in 2019. 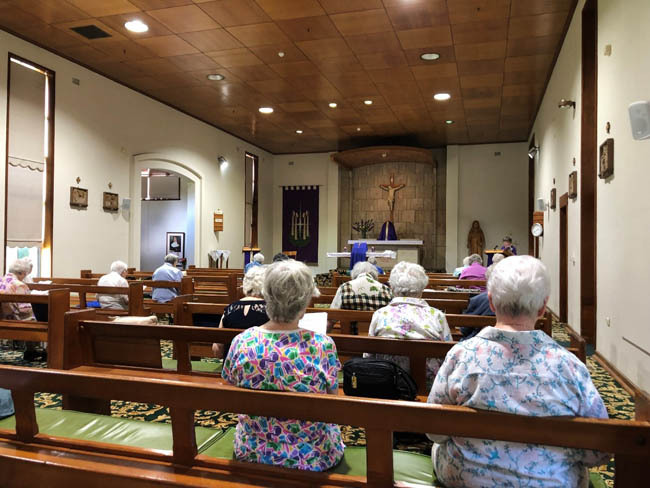 The NSW Sisters of St Joseph held liturgies in four centres across the State. Also among those taking part in the day were the NSW Sisters of St Joseph, who gathered in four centres across the State. “Other Sisters in rural areas also shared in the prayer having received it via email with the weekly Newsletter,” says Regional Leader, Sr Mary Ellen O’Donoghue rsj. This article draws from articles published on the websites of the Sisters of Mercy Parramatta and the Carmelites of Australia and Timor-Leste, as well as contributed reports from Congregations.